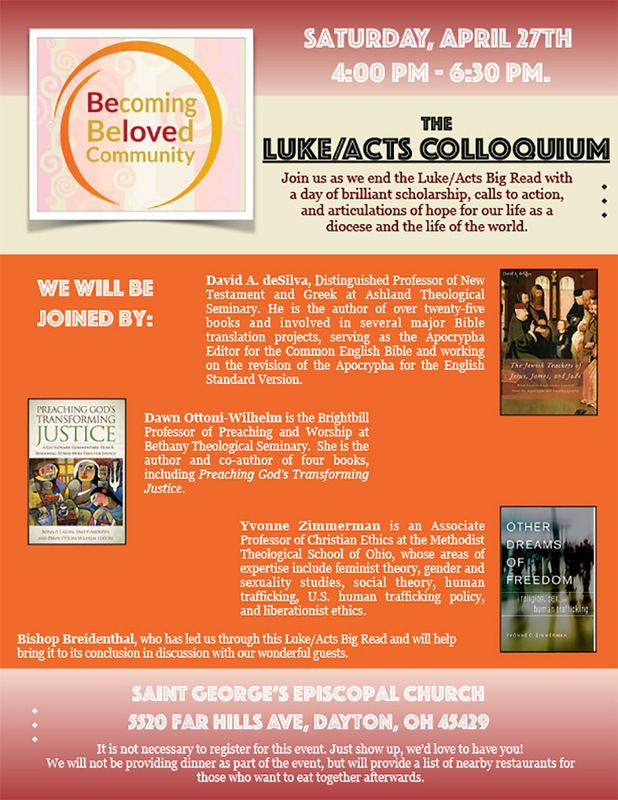 Join us as we end the Luke/Acts Big Read with a day of brilliant scholarship, calls to action, and articulations of hope for our life as a diocese and the life of the world. The event will be held at St. George’s, Dayton, 5520 Far Hills Ave. It is not necessary to register for this event. Just show up, we’d love to have you! We will not be providing dinner as part of the event, but will provide a list of nearby restaurants for those who want to eat together afterwards.